Help your customers with finding you on a search engine. SmartWeb is developed to search engines specifications, and it is possible to change in H1, meta tags, SEO Redirects etc. SmartWeb automatically generates a Google XML sitemap (sitemap.xml) with products, categories and text pages. Create discount coupons on all or selected products. Make use of them for marketing purposes and increase your revenue. With SmartWeb it is easy for your customers to buy gift certificates for others. Gift certificates can automatically be used in the webshop it was purchased in. 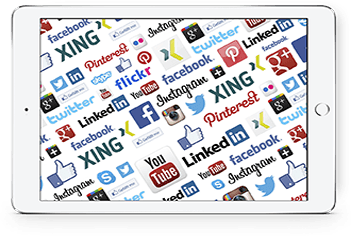 With SmartWeb it is quick to integrate with your social media accounts from Facebook, Instagram, Twitter and Google+. Engage your customers and increase your sales via SEO friendly product reviews on your webshop. Product reviews can be adjusted in several ways. Let your customers subscribe to newsletters. Build your newsletter in SmartWeb and send it out to all or select usergroups. It is also possible to integrate them with external systems like mailchimp. SmartWeb is fully integrated with the free-program “Google Analytics”, as it gives you a complete picture of your webshops performance. Google Analytics can be setup in just a few minutes.